After a lengthy absence, professional football returned to Miami after the American Football League awarded an expansion team franchise to lawyer Joseph Robbie and actor Danny Thomas for $7.5 million. Robbie had originally wanted to establish the franchise in Philadelphia, but AFL commissioner Joe Foss suggested courting Miami due to its warm climate, growing population, and lack of a football team. Thomas would eventually sell his stake in the team to Robbie. A contest was held in 1965 to choose the name of the team, which elicited 19,843 entries and over a thousand different names. The winning name, “Dolphins,” was submitted by 622 entrants. 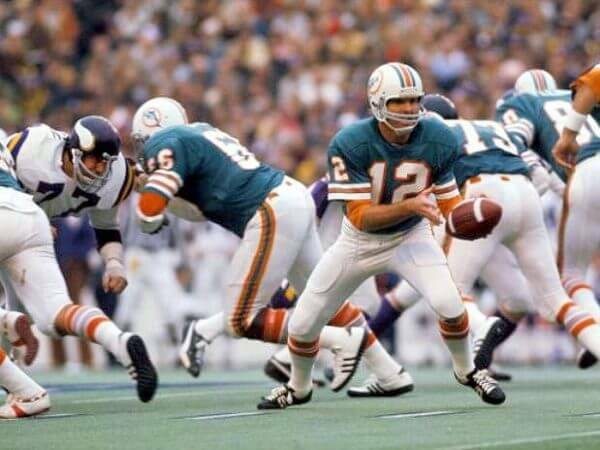 Super Bowl VII was an American football game between the American Football Conference (AFC) champion Miami Dolphins and the National Football Conference (NFC) champion Washington Redskins to decide the National Football League (NFL) champion for the 1972 season. 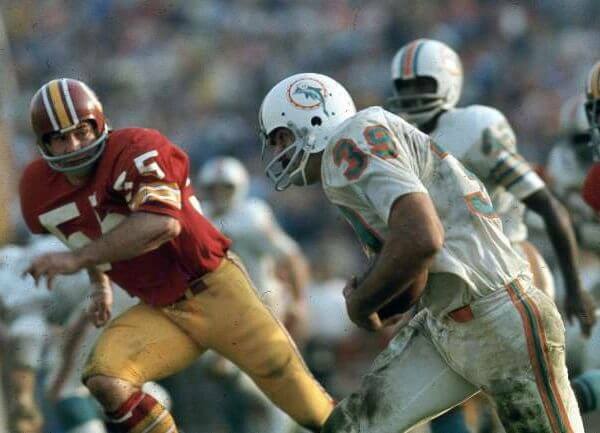 The Dolphins defeated the Redskins by the score of 14–7, and became the first and still the only team in NFL history to complete a perfect undefeated season. The game was played on January 14, 1973, at the Los Angeles Memorial Coliseum in Los Angeles, California, the second time the Super Bowl was played in that city. 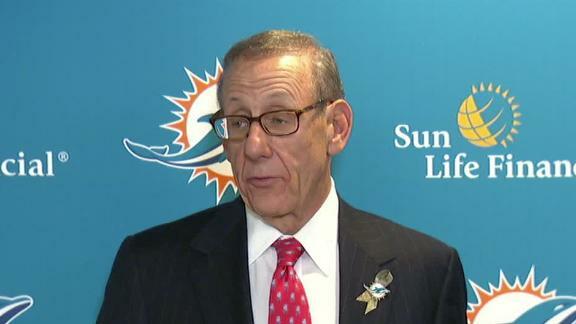 In February 2008, Stephen M. Ross bought 50 percent of the Miami Dolphin franchise, Dolphin Stadium and surrounding land from then-owner Wayne Huizenga for $550 million, with an agreement to later become the Dolphins’ managing general partner. On January 20, 2009, Ross closed on the purchase of an additional 45 percent of the team from Wayne Huizenga. The total value of the deal was $1.1 billion. This means Ross is now the owner of 95% of both the franchise and the stadium. The Miami Dolphins are a professional American football franchise based in the Miami metropolitan area. The Dolphins compete in the National Football League (NFL) as a member club of the American Football Conference (AFC) East division. The Dolphins play their home games at Hard Rock Stadium in the northern suburb of Miami Gardens, Florida, and are headquartered in Davie, Florida. 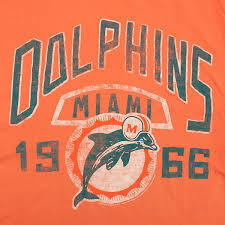 The Dolphins and the Atlanta Falcons (who also began play in 1966) are the oldest NFL franchises in the Deep South, and Miami is the oldest AFC team in that region. However, of the four AFC East teams, they are the only team in the division that was not a charter member of the American Football League (AFL). 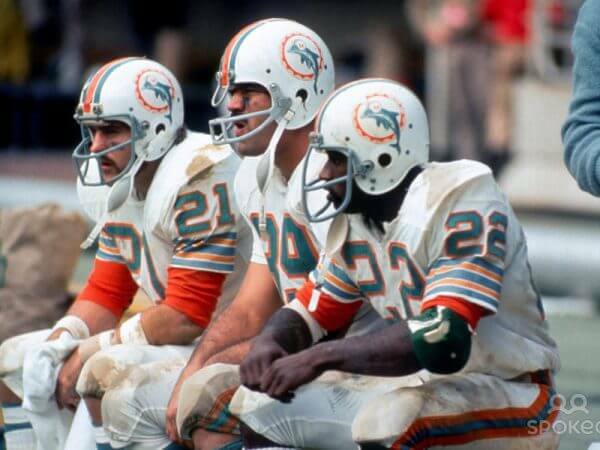 Who is the greatest Miami Dolphins? The Miami Dolphins are a professional American football franchise based in the Miami metropolitan area.